Just a moment ago, I wondered if this hole offered any real challenge. 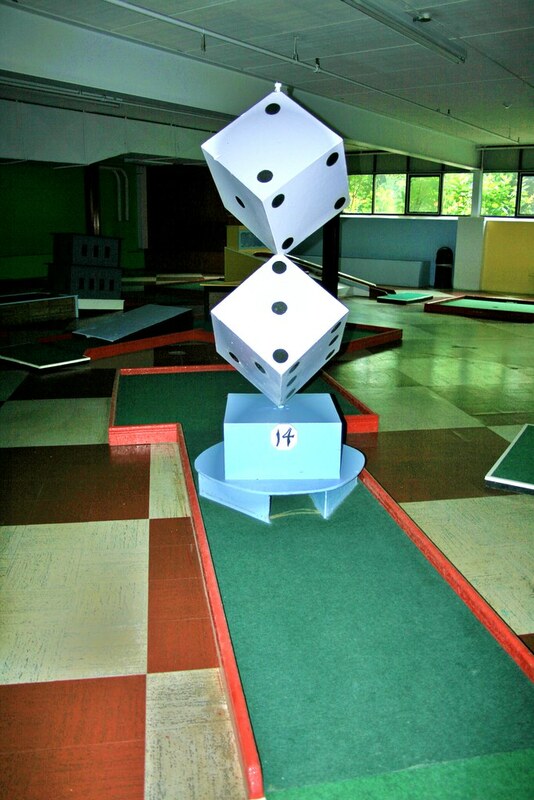 Perhaps the dice symbolized that something underneath rotated and either allowed your ball to pass or get returned. But instead, it did seem that the dice could rotate, just that it had no effect on the ball.